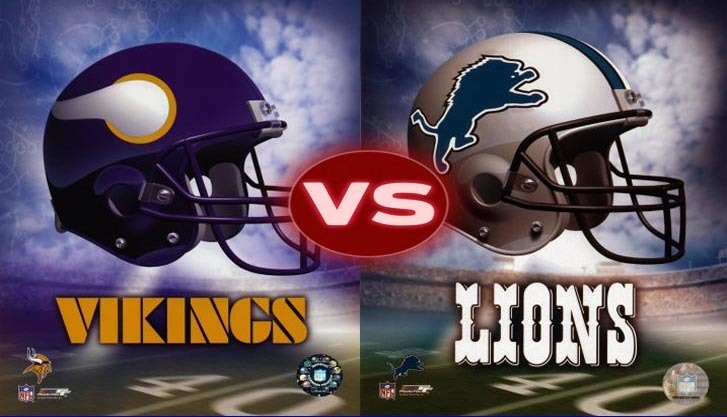 Detroit Lions and Minnesota Vikings are the two contenders of National Football League out of total 32 participants. They are taking place in ongoing NFL 2016 tournament which is the 97th edition of it. Almost eleven weeks have passed successfully in this competition and here the time comes for this two giant team to compete face to face. Their upcoming match is scheduled to be staged in next 24th November, 2016. Here we present their match details below. # Ground Details: The upcoming competition will be placed at Ford Field which is located in Detroit, Michigan. It is a multi purpose stadium in Michigan which uses as for American football and also for Basketball. The ground has 65,000 seats capacity and possible to expand it to 70,000. The field surface is FieldTurf. The ground was first opened in 24th August, 2002.